The Philadelphia Kappa Silhouettes is an auxiliary of the Philadelphia Alumni Chapter of Kappa Alpha Psi® Fraternity, Inc. The chapter was founded on October 3, 1923, and holds distinction of being the “First Silhouettes Chapter”. The chapter’s first president was Mrs. George Carry. In support of the Philadelphia Alumni Chapter, and in preparation for the establishment of the auxiliary, the first fundraising activity, a “Tag Dance,” was held in June 1923. The proceeds were donated to the Philadelphia Alumni Chapter housing fund. The Philadelphia Kappa Silhouettes are the wives and widows of members of Kappa Alpha Psi® Fraternity, Inc. They have provided continuous support and service to the Philadelphia Alumni Chapter and communities in the Philadelphia Tri-State area for 95 years. At the 35th Conclave of Kappa Alpha Psi® Fraternity, Inc., in Columbus, Ohio (1945), there was interest in establishing a National Organization for Silhouettes. On December 31, 1946, a group met for the purpose of laying groundwork for establishing the National Organization of Kappa Silhouettes. At this meeting, the committee suggested the formal name of Kappa Alpha Psi® Silhouettes. The National Kappa Silhouettes became official in August of 1947, at the Kappa Alpha Psi® Fraternity, Inc., Conclave in Los Angeles, California. 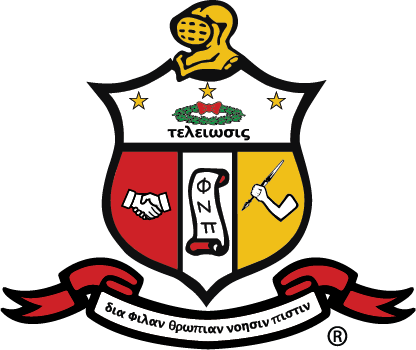 The National Silhouettes of Kappa Alpha Psi® Fraternity, Inc., were formerly known as the National Silhouettes, and are the organized wives and widows of Kappa Alpha Psi® Fraternity, Inc. The purpose of the Silhouettes has been to provide activities for visiting Silhouettes during Kappa Conclaves, develop service projects of interest to all Silhouette chapters, establish uniform policies and procedures for all local chapters and most importantly to serve as the official auxiliary to Kappa Alpha Psi® Fraternity, Inc. In 1980, the National Silhouettes was officially recognized as an auxiliary to the Fraternity. In addition, the Board of Directors of Kappa Alpha Psi® Fraternity, Inc., granted a seat on the Board of the Kappa Alpha Psi® Foundation to the National Silhouettes President.